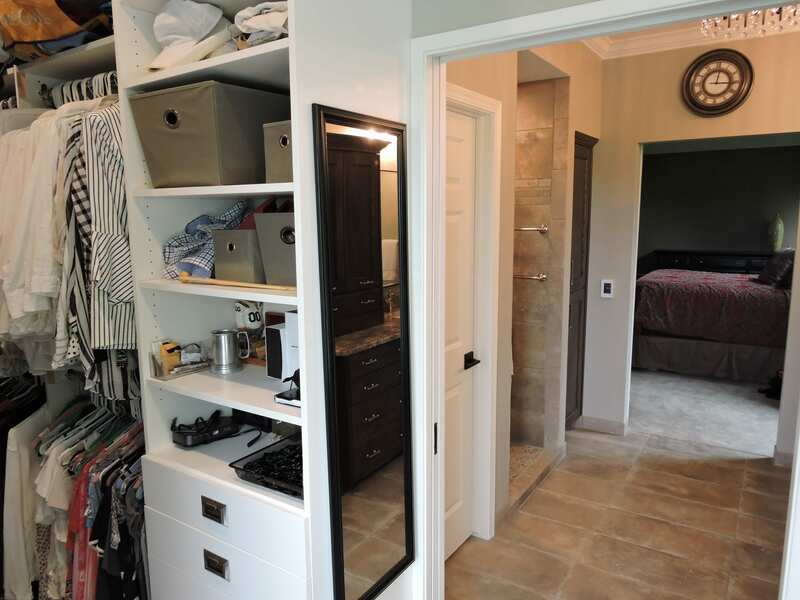 Master Bath/Closet Remodel — Willet Construction, Inc. 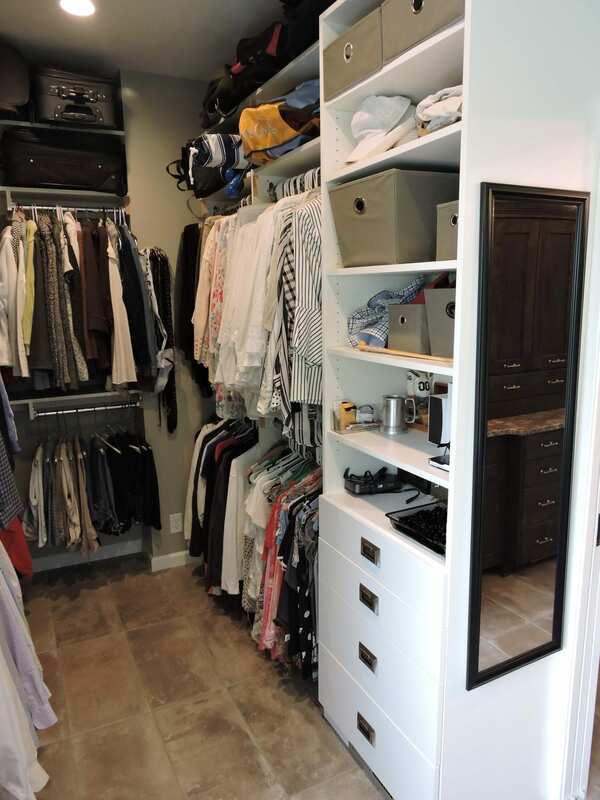 This family wanted to completely update and reconfigure their master bath and closet to increase function and improve the overall aesthetic. 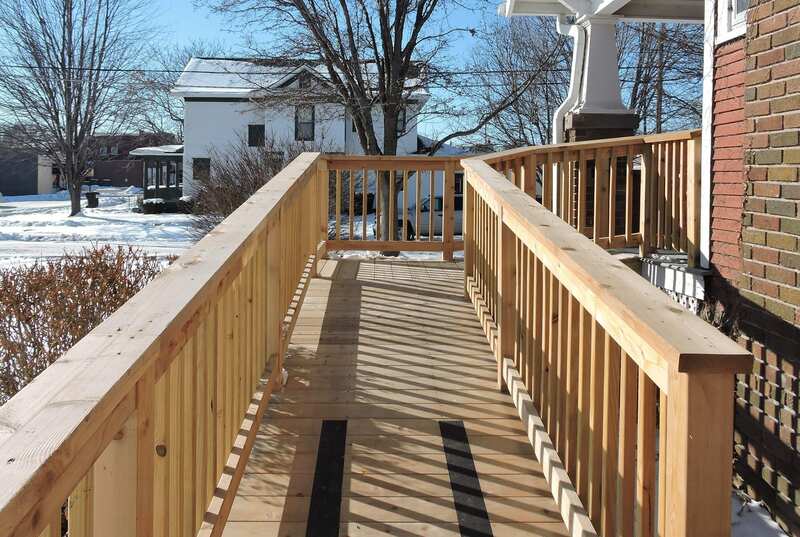 They had worked with a designer to come up with a plan, and then came to Willet Construction to do the installation. 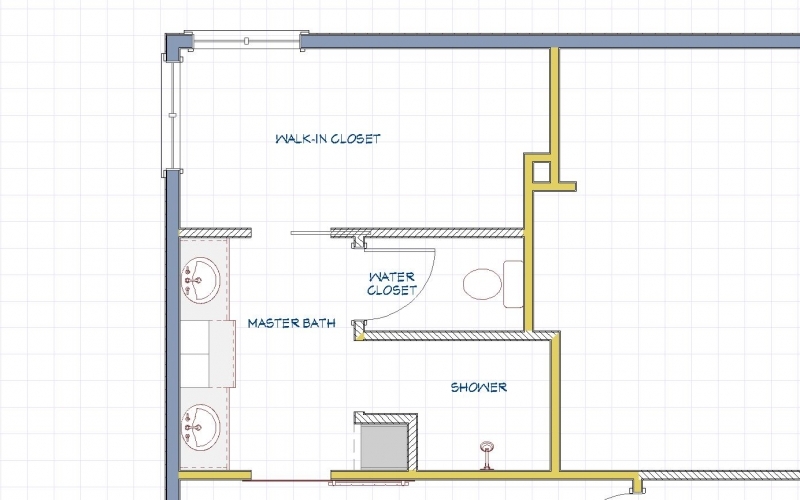 Below is a before and after floor plans to better illustrate the project. 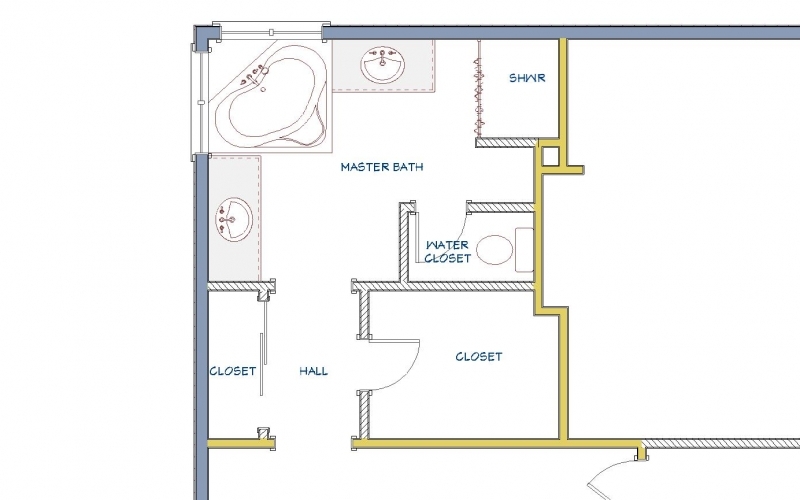 Both areas were gutted, including the plumbing, heating and electrical systems. 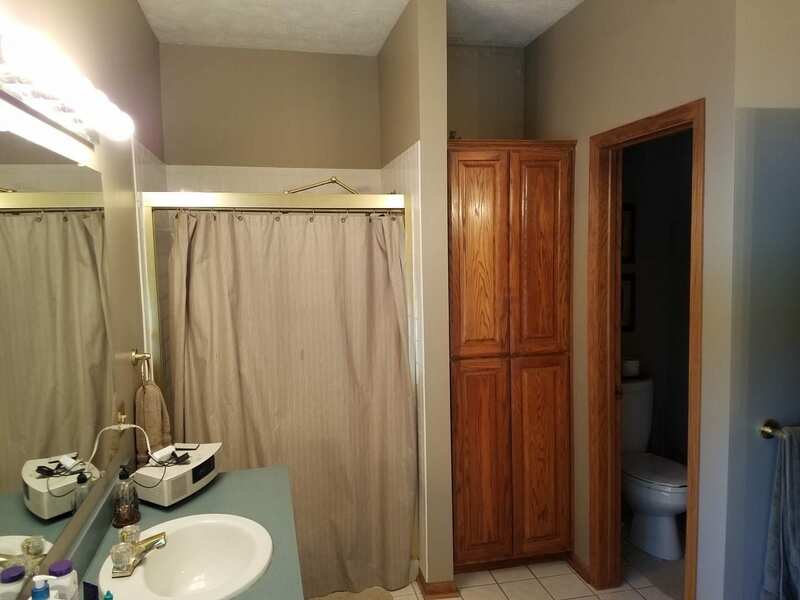 Where the large and underused bathtub once sat would become part of the closet area. 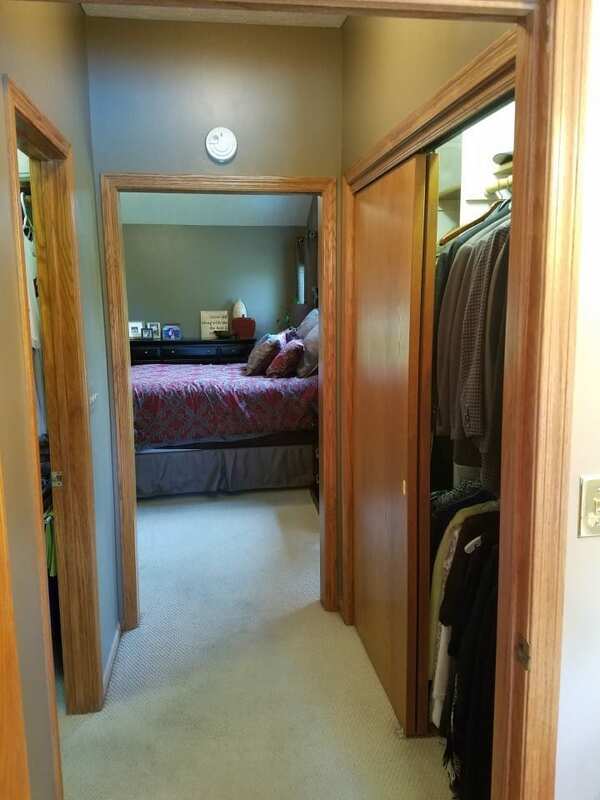 And where the closet once was would become a large walk-in shower. 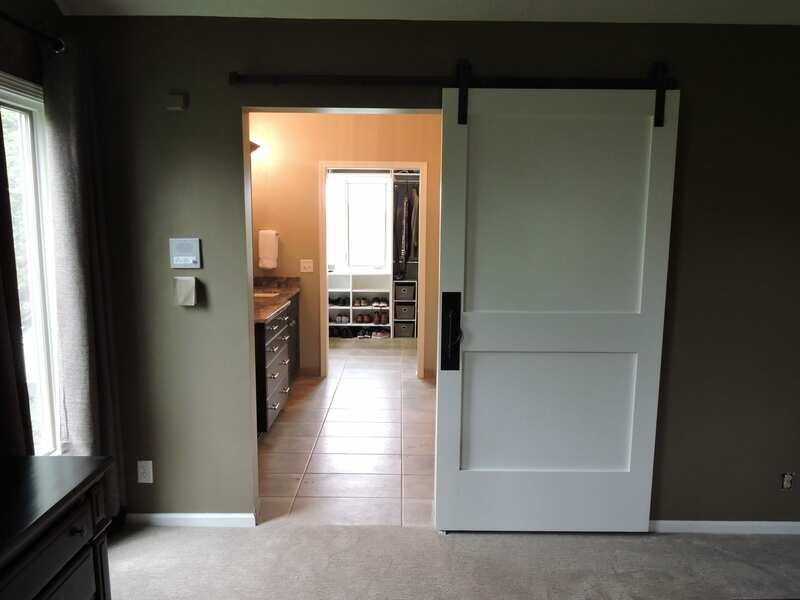 Where before there was no doorway separating the bedroom from the closet hallway, a barn door was installed to separate the areas. 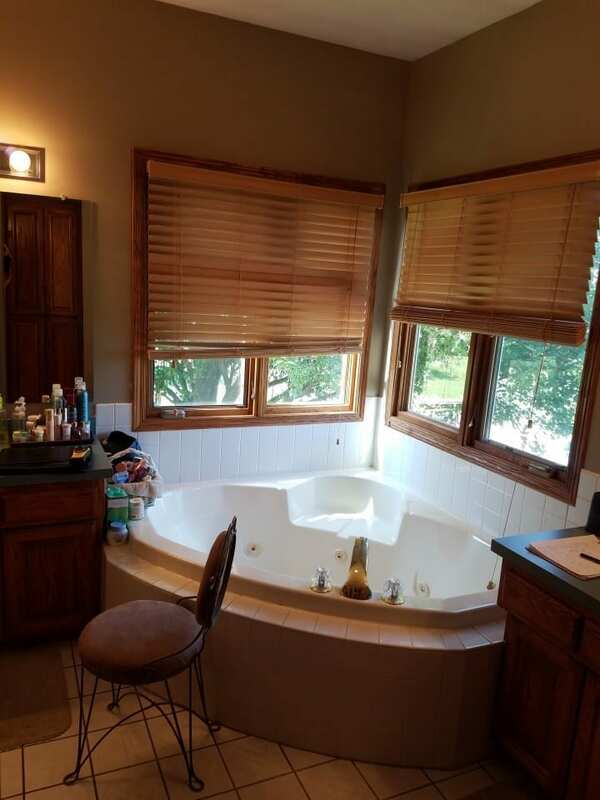 The bath area before had two separate vanity areas, one on either side of the tub. 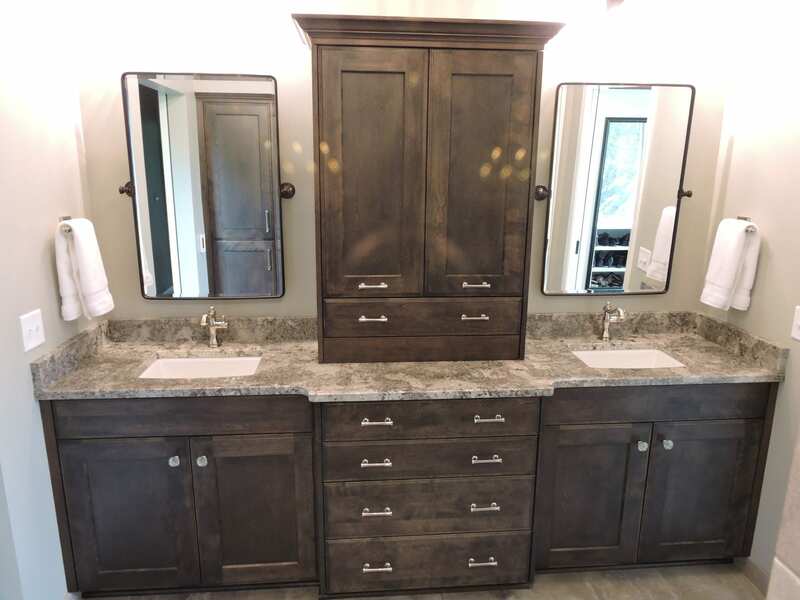 These were combined into a new double vanity area in rich dark Hickory with granite countertop and ample storage, complete with heated floors. 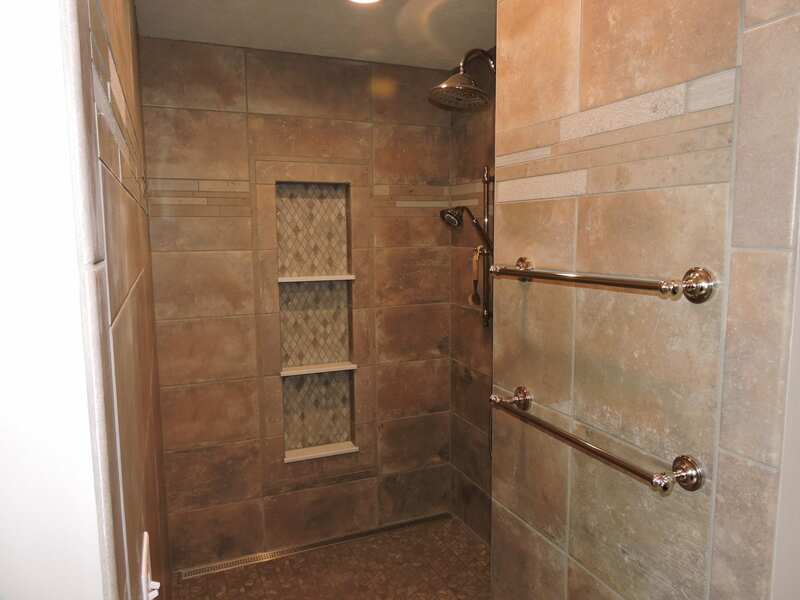 The shower features a niche for toiletries, an in-line drain, and dual shower heads. All surrounded by new tile from floor to ceiling. 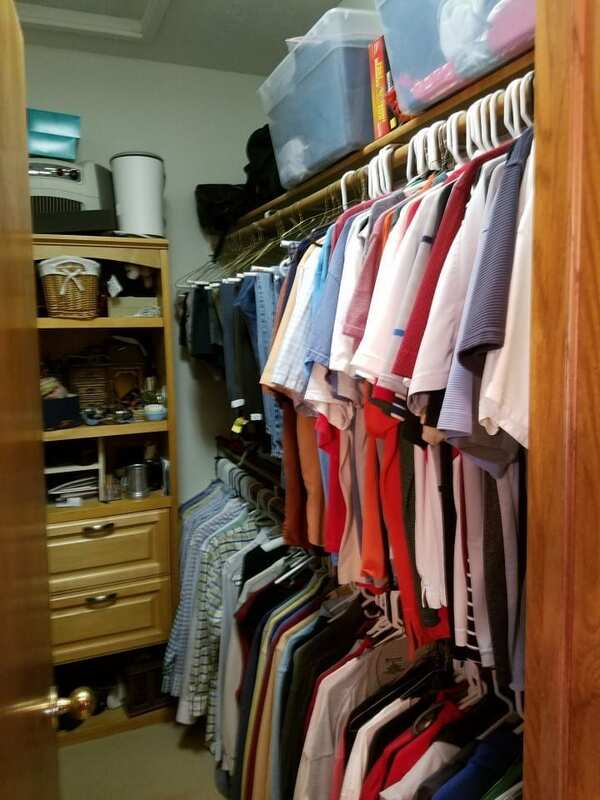 The closet became home to tons more storage with a custom closet organizer, shoe shelf cabinets, new closet rods and hangers for belts and other accessories. 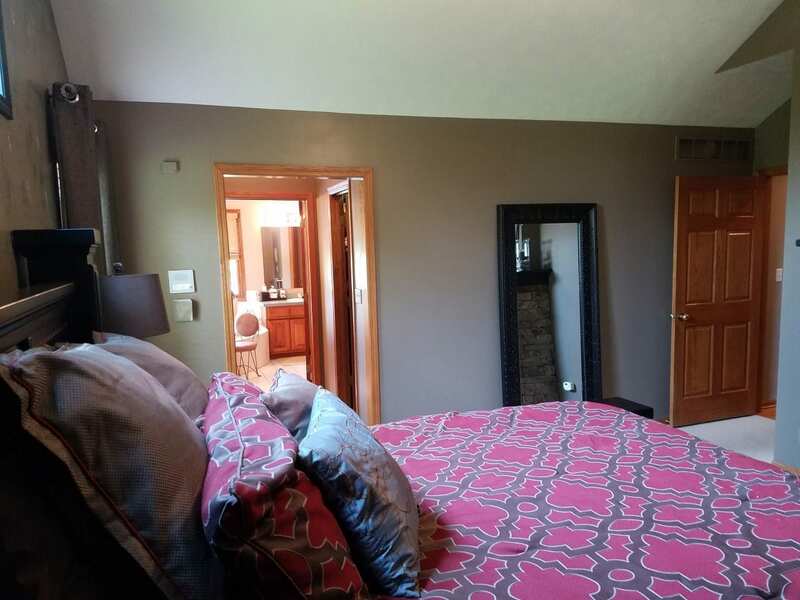 New lighting was added throughout, from the recessed LED fixtures in the closet and bath areas, to the new vanity and ceiling fixtures. 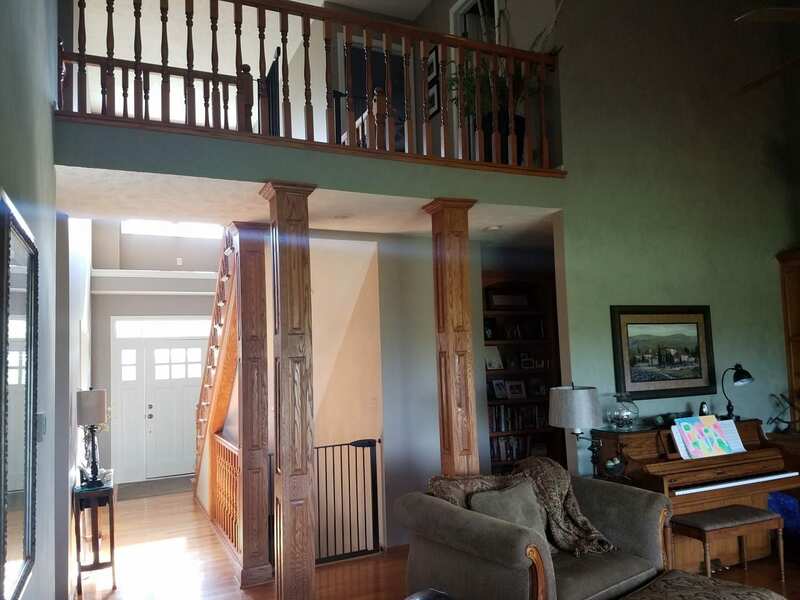 While we were there, the stairway balusters and railing for the walkway on the second floor, along with the support columns, were updated with white paint. 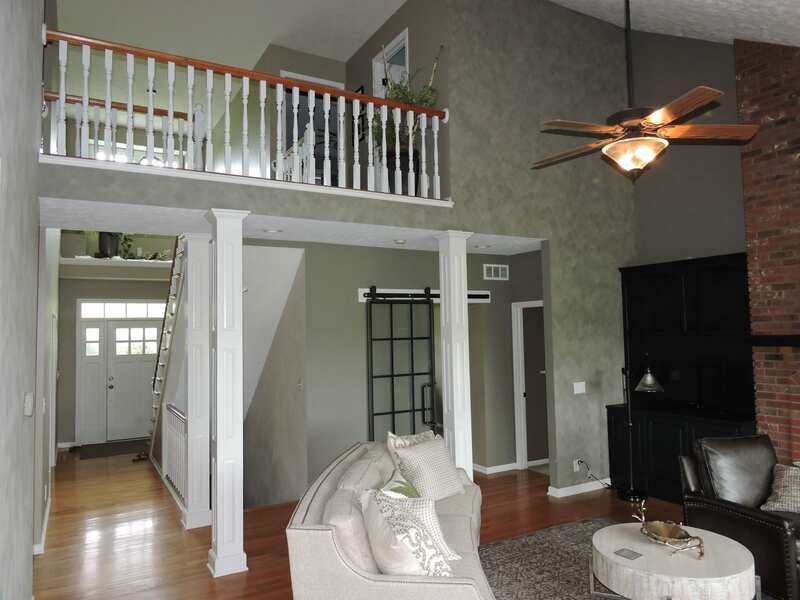 Walls were removed to accommodate a new glass sliding door to the den and to open up the living area.